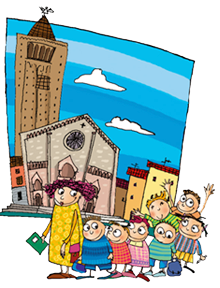 Piacenza and its province are the ideal destination for a school trip: the rich historic past and artistic heritage offer innumerabile possibilities for both primary and secondary schools. This territory “on a human scale” with unique tourist attractions, visited with interesting and enthusiastic guides or playing with our didactic activities becomes a day the pupils will never forget, enjoyable and educational at the same time. 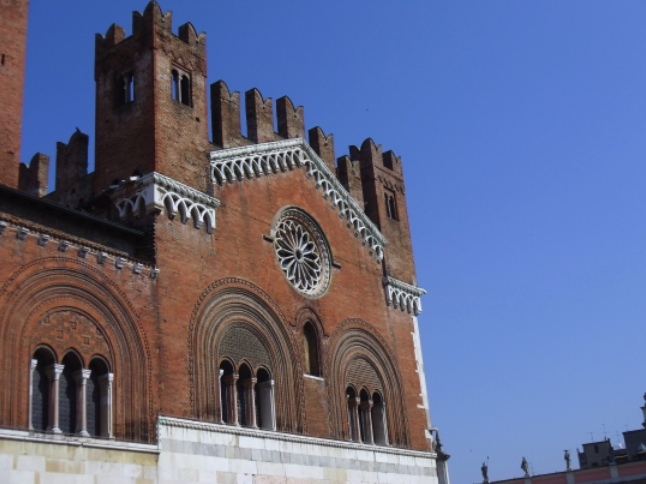 A Roman, mediaeval, Renaissance and 19th-century city, Piacenza offers extremely varied possibilities. 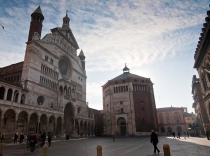 Not to be missed: the Piazza Cavalli and the Cathedral. A real social experiment, the village was the dream of Count Giuseppe Visconti di Modrone, who had it built at the end of the 19th century in mediaeval style. This is a journey back in time, meeting real and imaginary characters, such as the ghost Aloisa. 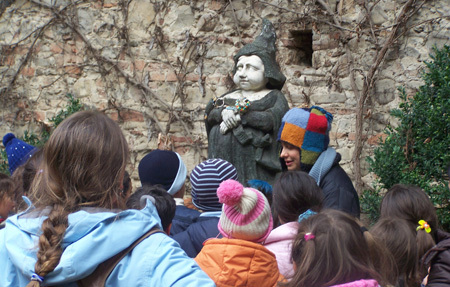 Possibility of visiting the Park surrounding the Castle of Grazzano Visconti, with centuries-old trees, a small labyrinth and the children’s play house. 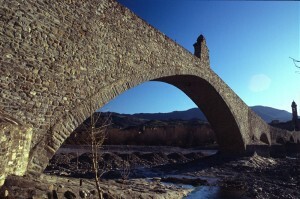 The abbey of San Colombano, cultural hub of mediaeval Europe, has become a symbol of the city, together with the famed Humpback Bridge. 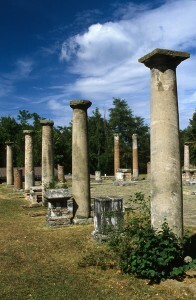 An ancient Roman Municipium that preserves the original paving of the Forum, and the remains of houses and baths. This hill town dominates the Arda Valley with its towers. The Piazza Alta is magnificent. 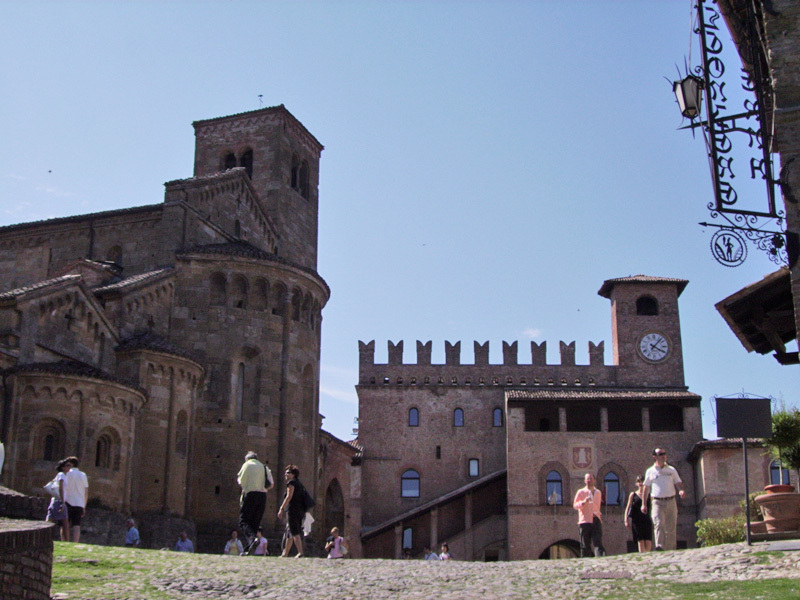 A mediaeval village still surrounded by massive walls, Inside is the lovely church of San Giorgio. The small but magnificent capital of the Farnese duchy, with its Cathedral frescoed by Correggio, the celebrated Baptistery of San Giovanni designed by Benedetto Antelami, the Pilotta with the extraordinary Teatro Farnese, majestic Piazza Garibaldi. 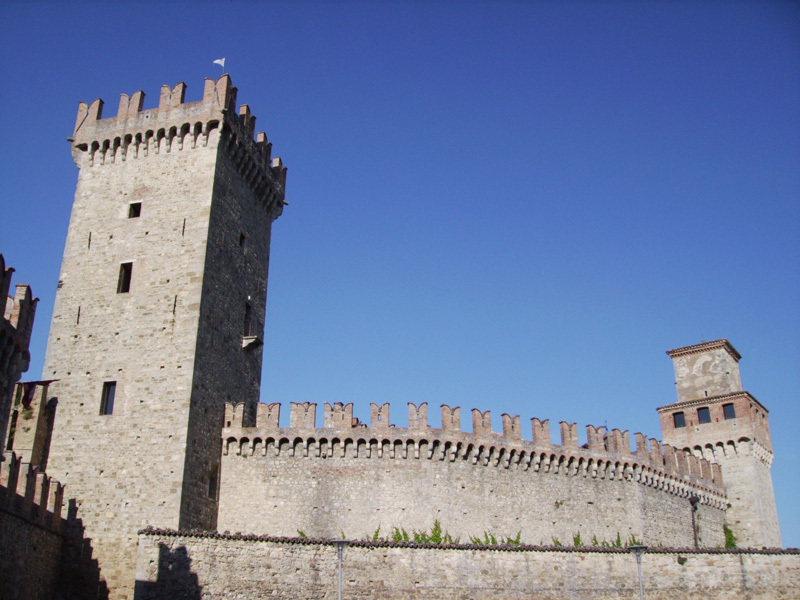 The Verdi country: The homeland of Giuseppe Verdi between Roncole, Busseto and Villa Sant’Agata, discovering the “character” of the great Maestro. 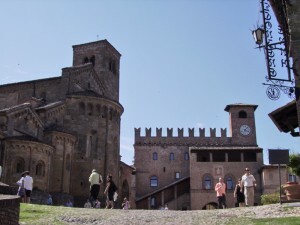 The splendid Piazza Comunale, really the drawing room of the city, with the famous Cathedral, also known as the “Sistine Chapel of the north”, the Baptistery and the Palazzo del Comune where the precious collection of historic violins is kept. 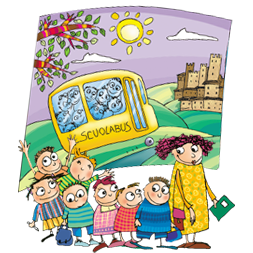 School trips tariffs, go to the page. 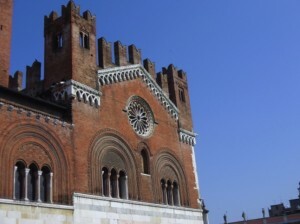 Clothes, symbols and itineraries in Grazzano Visconti or Piacenza. 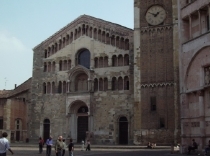 Visit of the place chosen, includine a religious building, the mediaeval piazza /platea, the merchants’ portico. Afterwards the class divides into two groups, the “Pilgrim” and the “Lady”, which compete against each other regarding the themes discussed during the visit (places of worship and pilgrim routes, the importance of the merchant class during the Middle Ages, the symbols of civic power). Each correct answer gains the group an article of clothing characteristic of the pilgrim or the lady and the winner is the group that dresses its model first. Visit the excavations of the little municipium talking about everyday life: the Baths, a Domus, what went on in the Forum. During the visit the didactic activity is developed, as the Roman family gets dressed and celebrates a traditional republican wedding, the children play with walnuts and use wax tablets for a maths competition.